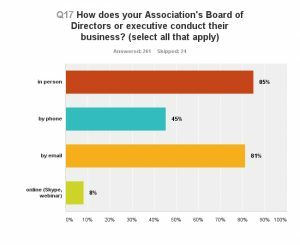 Now your Association members can connect by phone for Board meetings or other business with participants located across North America, at a great rate. This service from provides both a Toronto local number and a toll-free long distance call option. You pay the same per minute rate for each participant, regardless of how your participants decide to join your meeting. There is no restriction to the day, time or duration of your call. There are no annual fees or long-term commitments associated with this offer. Haven’t applied for a Member Login yet? Click here for your Login. Not yet a FOCA Association Member? Find out more here about why you should be! In FOCA’s 2015 membership survey, members told us that they conduct Lake Association Board business in person (85% of respondents), by email (81%) and by phone (45%). Particularly in the winter months, many Lake Association members live at a distance from one another, and meeting in person can become next-to-impossible. Nevertheless, issues arise year-round that continue to require the attention of the Association’s Board of Directors! When an issue is time-dated, the phone can be the best way to bring everyone up-to-speed and discuss the next course of action. FOCA uses Genesis Integration (formerly Audability) teleconference services for our own Board of Directors’ meetings. The sound quality is high and the convenience is great, allowing Directors to participate in meetings even while travelling in the US in the cottage off-season. Now, FOCA is very pleased to be able to help our member Associations access this great teleconference service at a great rate of 2.5¢ per minute (per participant). Contact Genesis Integration (see the link above to access the offer – members’ only!) to set up your Association’s access code and billing arrangements today. We hope your Association will take advantage of this, and all the other great FOCA Member Benefits!